Its been two weeks since I left Perth. I have more or less settled down in Kuching, although I do experience reverse culture shock every now and then. 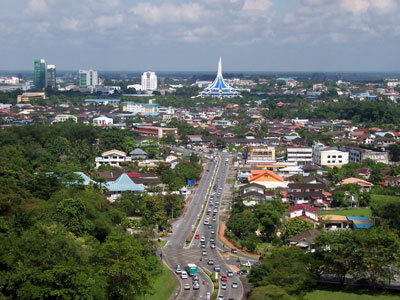 Kuching's cityscape... somehow can't be compared to Perth's cityscape. I reckon I still need time to fit into my new job. My work here involves overlooking the use and implementation of information technology within the company because I am one of the few people who have experience and knowledge in that area. Things are going rather slow at the moment, but I'm sure thats just the calm before the storm. The sole reason I returned to Kuching is to be with my father. His health has always been my biggest concern since day one. I find comfort seeing the smile on his face everytime I talk to him about my day at work and the happenings in his company. Most of the time, my father spent the day resting on the reclining chair in the living room. When he's awake he takes his food, medication and goes to the toilet. At 9pm everyday, an expert foot reflexologist we hired visits him. We try to speak to him whenever he's awake. He answers softly instead of with the booming voice we knew. Lately, he's been exhibiting amnesiac tendencies. He used to have five cigarette lighters, all of which went missing because he forgot to take them out of his shirt pocket or something. 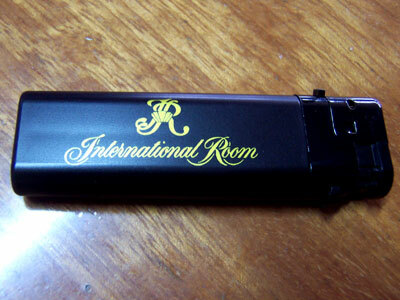 My father's favourite cigarette lighter. Whilst I am piling on weight because I can't find a decent gym + irresistable Kuching food, my father is losing weight steadily. There's no need for scales to prove that. He needs lotion to be applied on his upperback every evening before he sleeps, and I have been helping him do that. I can see the transformation with my own eyes - trust me, the hardest thing to do is to stop myself from breaking down and cry in front of him. We have been assured by the German doctor and the cancer survivors who have been on the same treatment plan as he is that what he's experiencing is a difficult, temporary but normal process. I seriously hope that what they say is true. The foot reflexologist works on my father's feet every evening. I am so utterly financially broke. I remembered when I first went to Perth, I'd see the price tag of something, mentally convert it from AUD to MYR, say how expensive it is, and put it back. These days, I pick up something, mentally convert it from MYR to AUD, rave about how cheap it is, and put it into my shopping trolley. The fact of the matter is that I'm not earning Australian dollars anymore and I can't spend like I used to. I sold off almost all my possessions in Perth at ridiculously low prices, spent tons of money to courier the remaining stuff over to Kuching and now I'm left with not much, except an almost empty wallet and a credit card debt that I'm still figuring out how to pay. 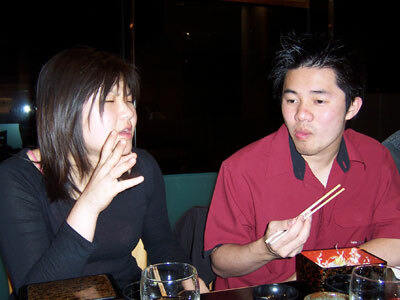 Tiffy + Jacky = unlimited entertainment watching them argue. Two of my fav people in Perth. I miss the gang in Perth and I miss our weekly rendezvous for coffee and cake at Moon Cafe. I miss Jacky's little-boy antics, I miss Tiffany's funny exaggeration of everything, I miss Dine & David's good food, I miss the guys at Spectra, I miss my sister and her boy Jayden... I miss them all. 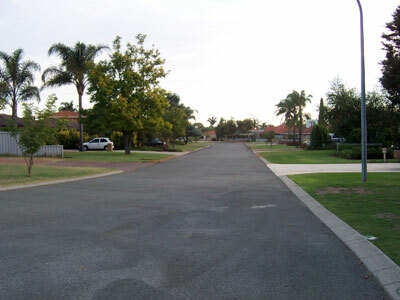 I looked at the photos I took of my house in Perth, my neighbourhood, the path where I jogged along every morning. These are all gone, all no longer mine. Looking at the photos is me like falling into that dream once again. I wake up when I put the photos away and find myself in an unfamiliar bedroom that's not mine. Waterford - the neighbourhood I used to live in. I'm missing Nicole like crazy. I've been missing her the moment I stepped through the departure gates at the Perth International Airport. Not a day goes by without me thinking about her, worrying if she has been eating for the day, if she found a job or if she has spent all her money on another L.A.M.B. bag. There's shouldn't really be anything for me to worry because she's well taken care of by our friends over there. Then again, it truly is the first time she's been completely independant from her family and myself, and I feel powerless because I can't take care of her. We speak to each other on the phone consistently almost everyday. Somehow it just doesn't feel the same. 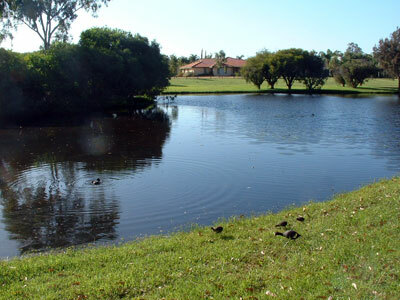 The pond I always past by in my morning jog. The ducks attacked me once because I ran too fast towards them. The way things are right now, I don't like it. I am going through a dark period in my life, I am depressed, I know I have to be strong, but who am I to kid? If only I were to have the remote control to my life, I'd rewind it back to the time before all these had happened. Brace up, Kenny! Things will only get better. I've been there so I know how it is like. It's easier said than done but for the sake of your family. Besides, you know there are always heaps of people supporting you and definitely if you're about to collapse you can turn to them for support, no? :) And I'm one of them. You can always come and talk to me. I miss Perth too.. And it has been a year and 5 days since I left. yeah spend more time with ppl who care for you back here.. and hope you will eventually get used to the new lifestyle. i know its easier said than done.. but hang on there! Thanks for the concerns, guys. Was feeling a bit down last night, but I'm very much ok now.